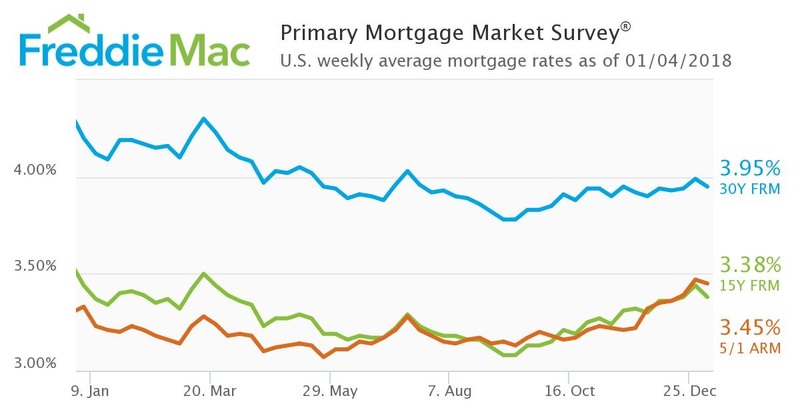 Mortgage rates began 2018 on the decline, according to Freddie Mac’s latest Primary Mortgage Market Survey (PMMS). The 30-year fixed-rate mortgage (FRM) averaged 3.95 percent for the week ending Jan. 4, down from last week when it averaged 3.99 percent. The 15-year FRM this week averaged 3.38 percent, down from last week when it averaged 3.44 percent. And the five-year Treasury-indexed hybrid adjustable-rate mortgage (ARM) averaged 3.45 percent this week, down from last weekwhen it averaged 3.47 percent. Alex had a tough case. A very complicated financial situation, several investment properties, cash out and loan consolidation, two refis... read more simultaneously, an error on the credit report, complicated title (different entities on title and loan), and loan signings in 2 different locations by various individuals. That's just to name a few issues that have caused other lenders to fail miserably in the past. But NOT Alex. He sailed through all the challenges, while at the same time providing the best customer service experience that I have ever experienced. Oh, and did I mention that he was on the phone within 30 seconds of me submitting the Lendingtree request? You can imagine that we were dealing with a mountain of paperwork in my case - several times what a "straightforward" loan would have. Alex made sure that everything was in order and would go to bat with the banks with whatever challenges they would throw at us. "Pass the buck" is not in his vocabulary. Long story short, two very complicated loans were closed (a feat in and of itself), and with a rate that no other lender could match. Compare that with Alex's competitor that asked that I upload all the supporting documentation (one document at a time) to their website. (Needless to say that was the last they heard from me). Or another lender that first passed the buck when an error on the credit report was discovered, and then cancelled the loan when he couldn't see the error corrected on his side, even when I provided him with information that the error has been fixed. Would recommend Alex to anyone!